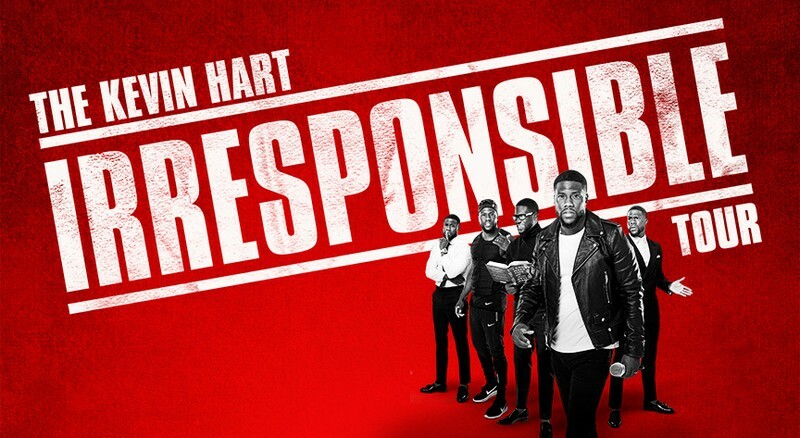 Kevin Hart is bringing his widely successful and massively hysterical 'The Kevin Hart Irresponsible Tour,' to Australia in 2018 and will perform 360º in the round, a first for a stand-up comedy tour of this scale. Hart's last tour 'What Now' sold out venues across the world, including Kevin being the first comedian to sell out an NFL stadium, selling over 50,000 tickets in one show at Lincoln Financial Field. He sold out arenas across Australia, selling 100,000 tickets and the tour grossed over $100 million worldwide. 2017 was a banner year for Hart; his memoir I Can't Make This Up: Life Lessons debuted at Number One on the New York Times Bestseller list and remained on the list for ten consecutive weeks. The book also topped records on the Audible platform, selling over 100,000 copies in the first five weeks. Last year Kevin also appeared in the Sony reboot of the classic film Jumanji alongside Dwayne Johnson and Jack Black. Jumanji has been Kevin's highest grossing box office release to date, the movie has made over $800 million worldwide. Hart also launched digital comedy streaming service, LOL Network (Laugh Out Loud), last year to promote new comedians, develop scripted and unscripted comedies and stand-up specials in partnership with global content leader Lionsgate. Tickets go on sale to the general public at 12pm, Friday 23 February through Ticketek.